Not good news: As a result of the industrial action by some council staff over the next ten days litter bins in the park will NOT be emptied and the toilets will NOT be opened. We are working on a plan with our volunteers to keep the toilets open if possible. We will keep you updated. 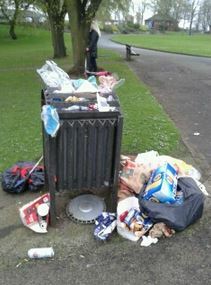 We have no capacity to sort the bins – that’s park life.